Last year, we donated over 40 bikes for our annual holiday toy drive! Hadeed is proud to support the Childhelp Foundation’s mission of prevention, treatment and research of child abuse and neglect. 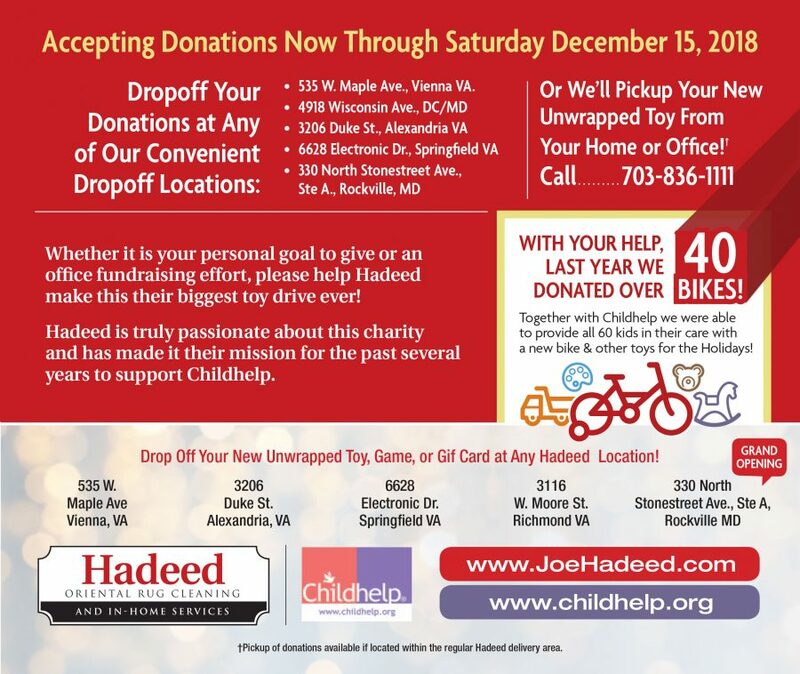 Bring a smile to a child’s face this holiday season by donating an unwrapped toy, game, or gift card. We are accepting donations for drop off or pick up until December 15th!